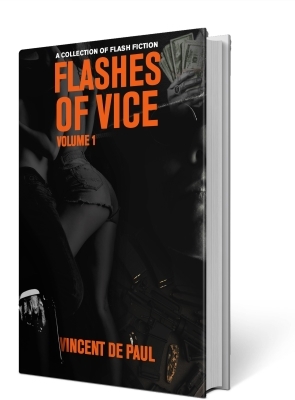 Found “it” in Flashes f Vice which is a collection of short stories written by Kenyan author, Vincent De Paul. (Can I get a whoop whoop for our Kenyan writers!) If you are looking for “have been told African literature” or “I think I have read that before” kind of stories, then Flashes of Vice won’t do it for you. Vincent De Paul (Don’t you want to know if that is his national ID name though? Or just a fancy pseudonym?) Point is, he writes as well as I can down a cheap bottle of dry red wine on a Friday night. His short stories won’t bore you to death. Short, entertaining and adopting that straight forward Humans of New York style of writing. Whether he is writing about hookers, terrorism, or love rigmaroles, he will make you appreciate raw and well written African literature. Plus, you will have more cred for knowing and having read more than two notable African writers. C’mon, who do you currently know of? Chimamanda? Ngugi? Wainaina? Well, add Vincent on that list.